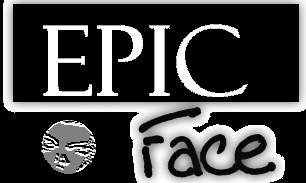 This is the home of Epic Face. Introduce yourself here when you join. Here we write episodes and plan things ahead. The place for body actors and people with capture cards and video editing tools. The place for voice actors and voice actresses. Music goes here too. The forum for discussion and suggestions for Epic Commentaries. Do you have a question? Ask away! Any RPGs made outside of this forum will be instantly deleted.